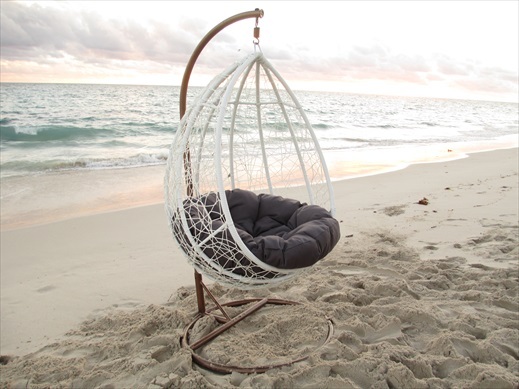 This modern outdoor hanging chair is back at Urbani Furniture by popular demand. It is a contemporary showcase for any outdoor area. 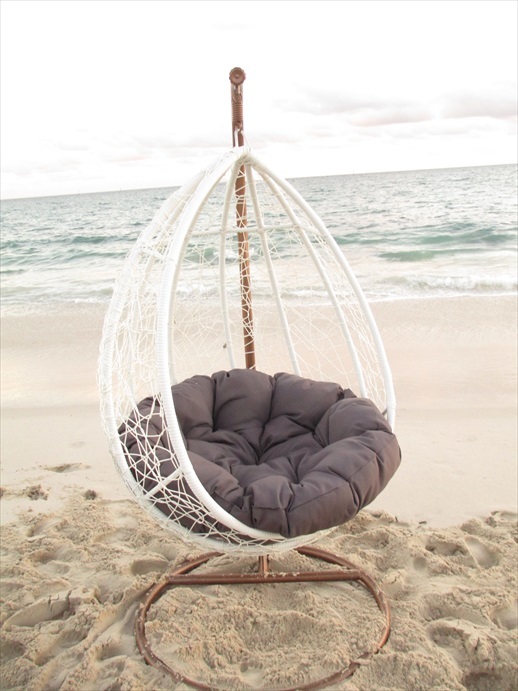 It is so comfortable for relaxing with a glass of wine or a book. This deluxe chair is generous in size. 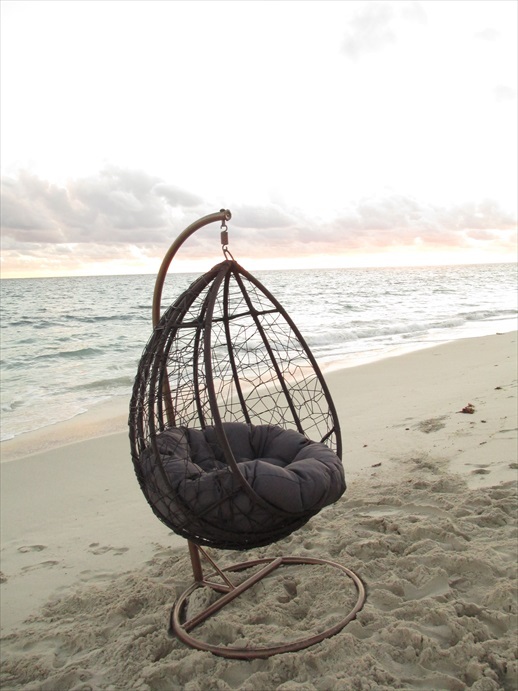 Available in a modern black or white wicker. With blue, light grey, or charcoal fabric.